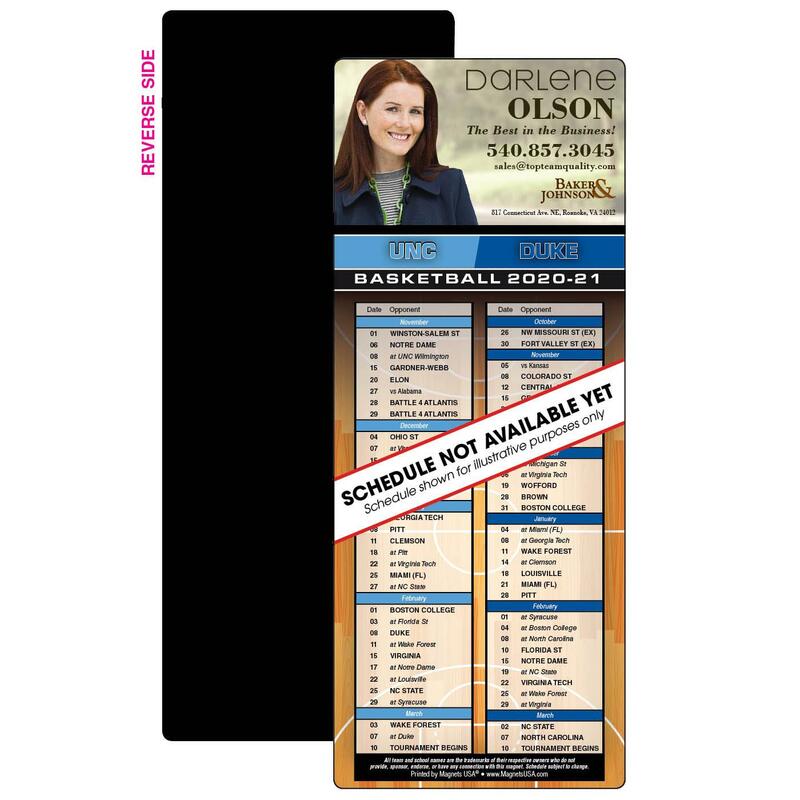 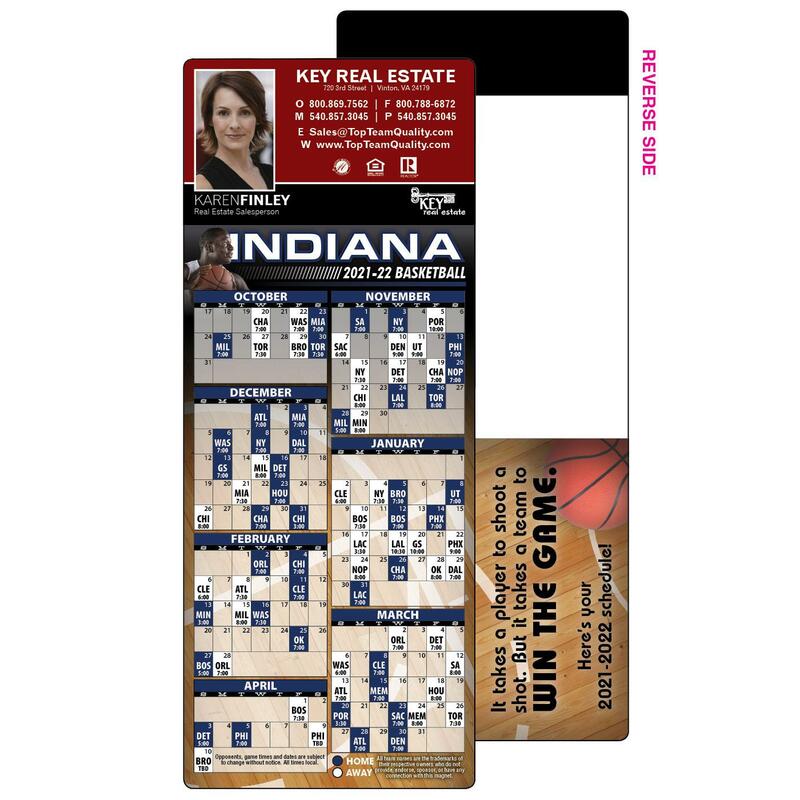 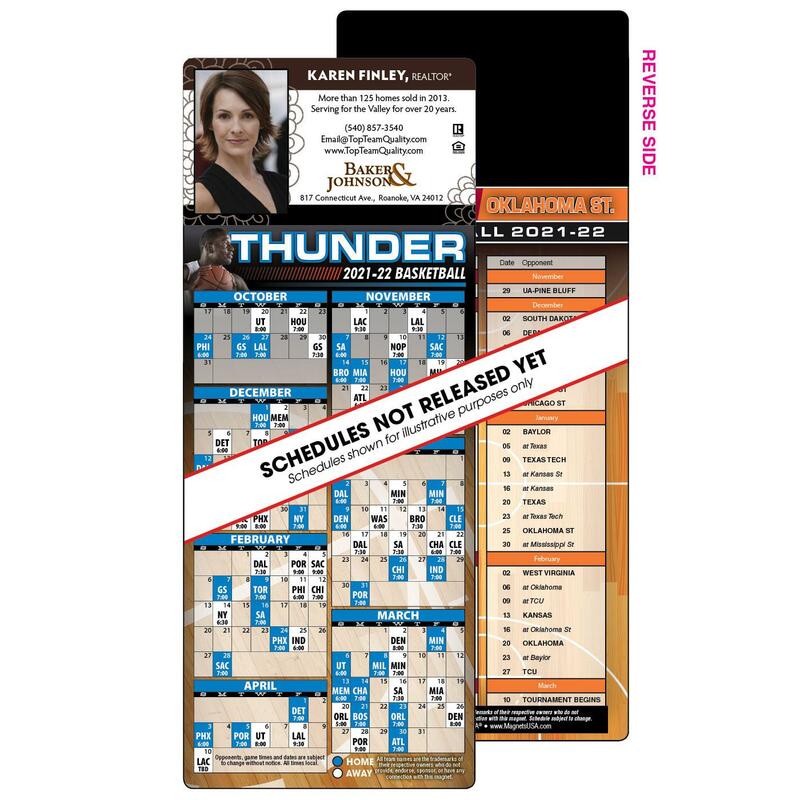 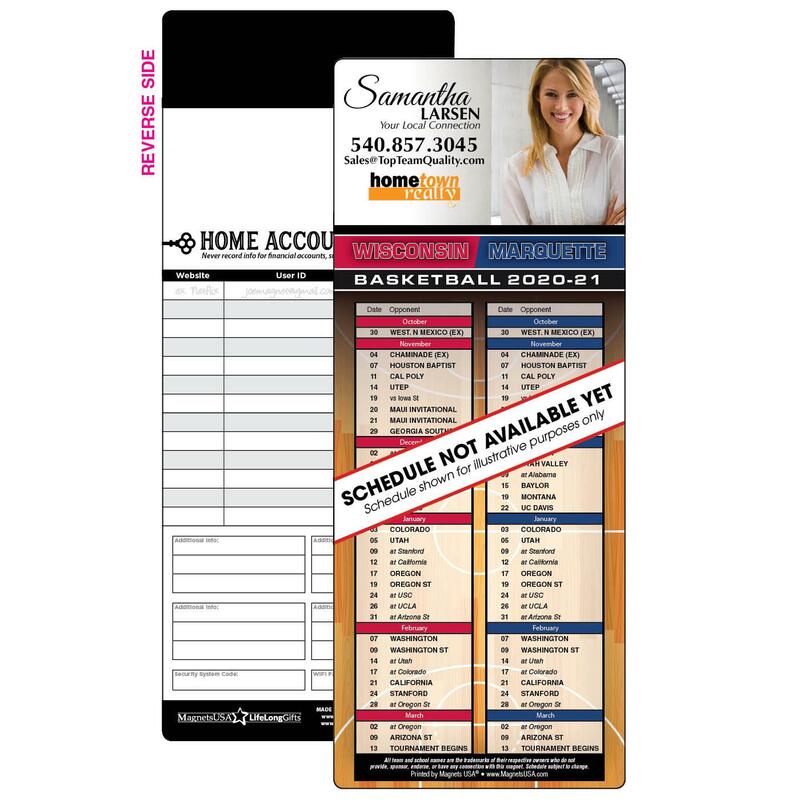 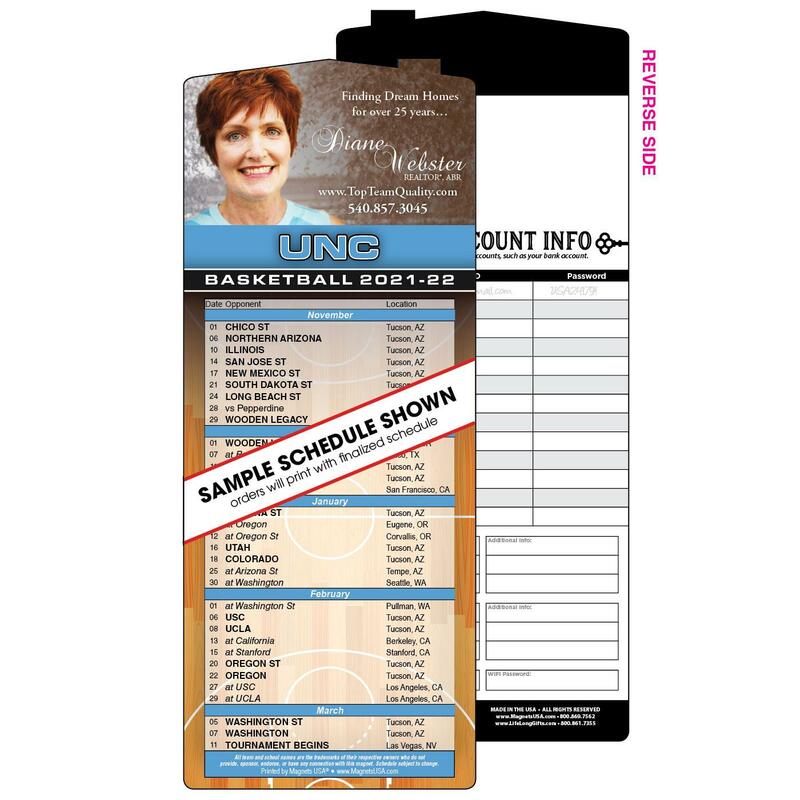 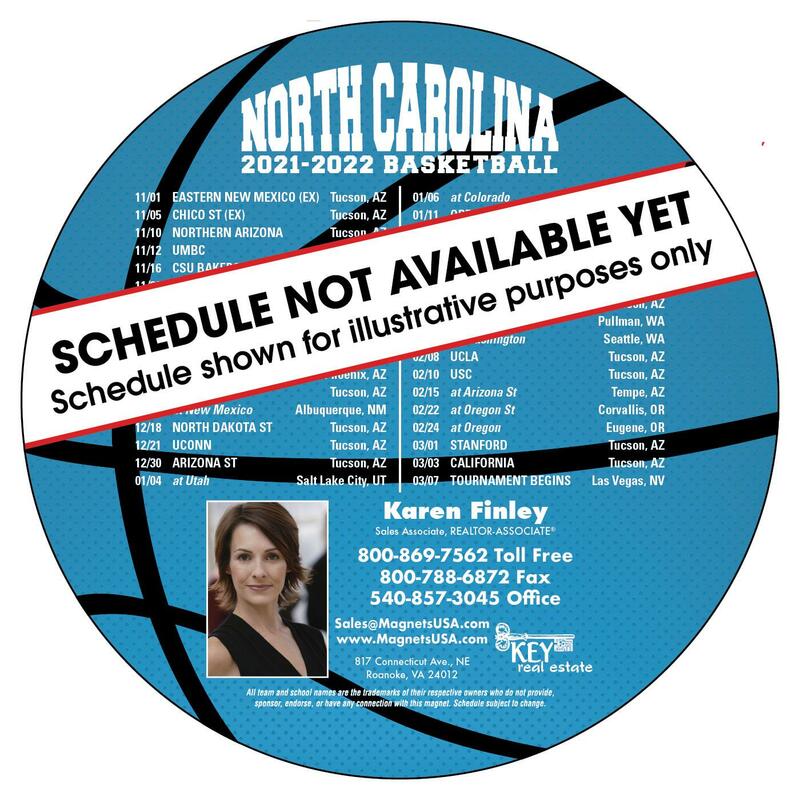 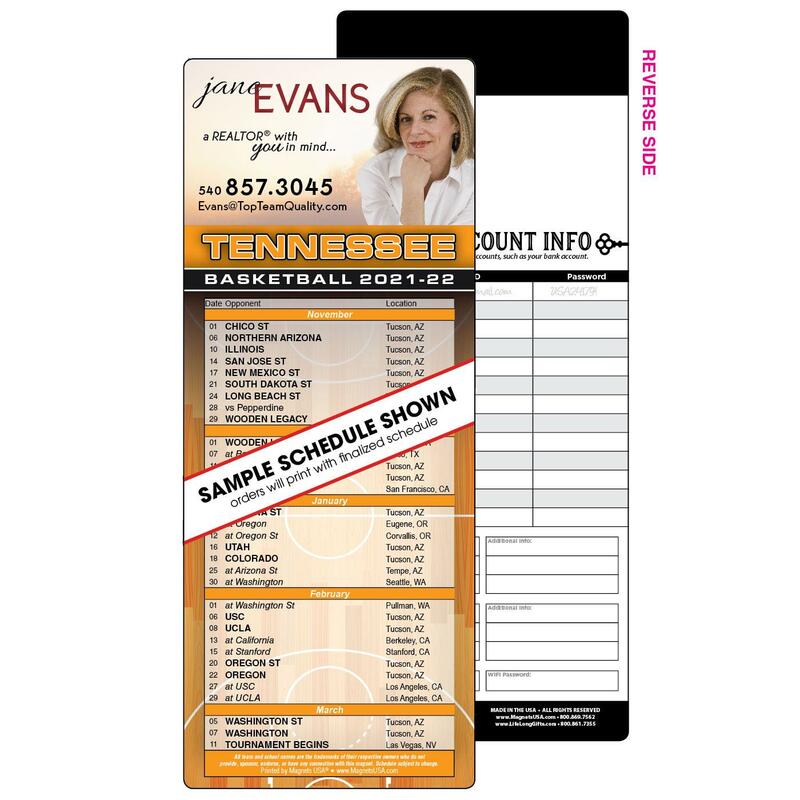 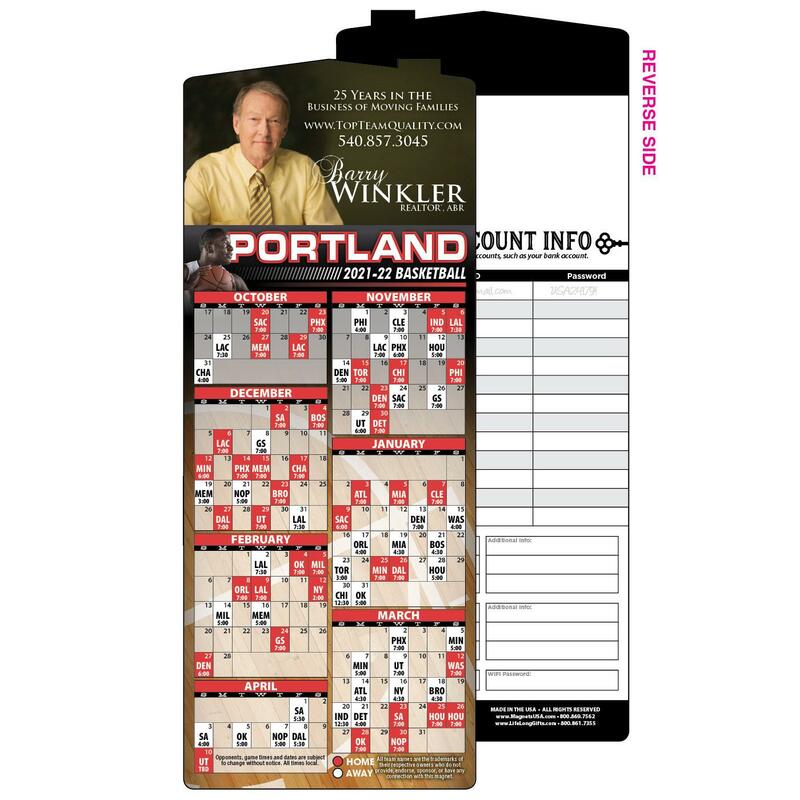 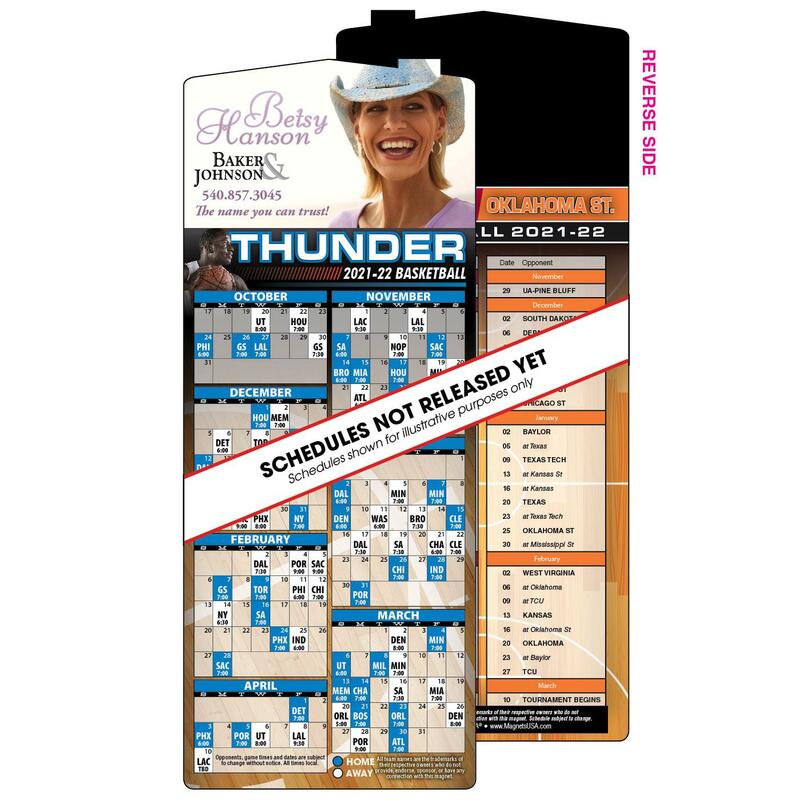 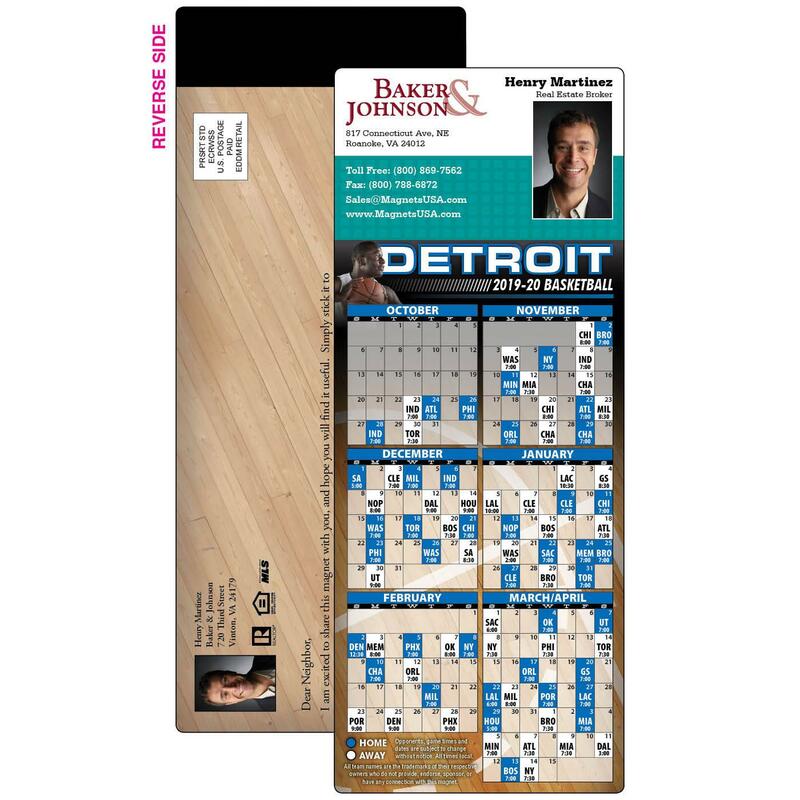 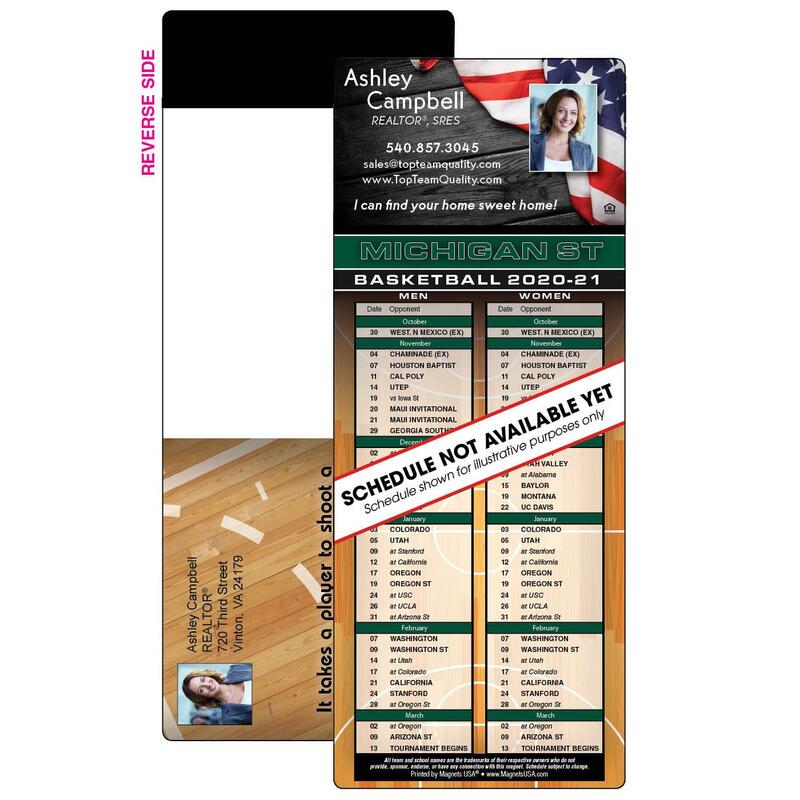 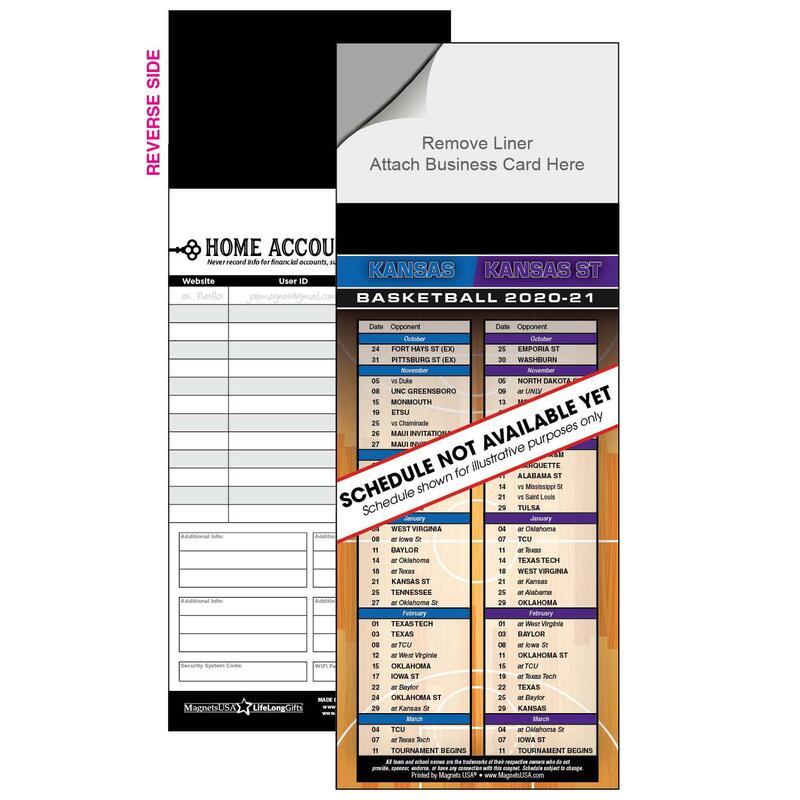 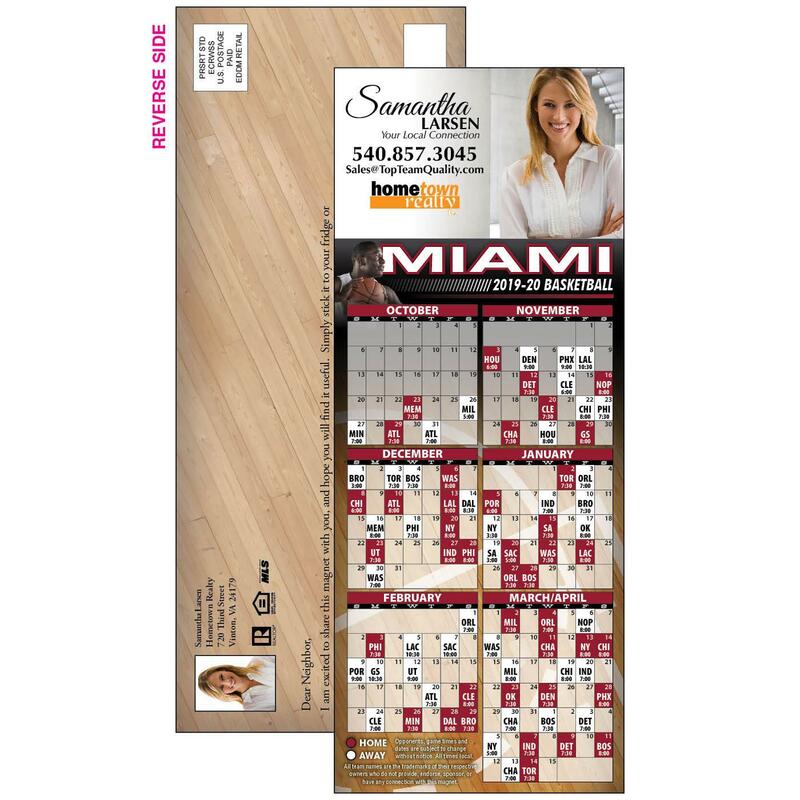 Convert both professional and college basketball fans into loyal clients with Magnetic Basketball Schedules. 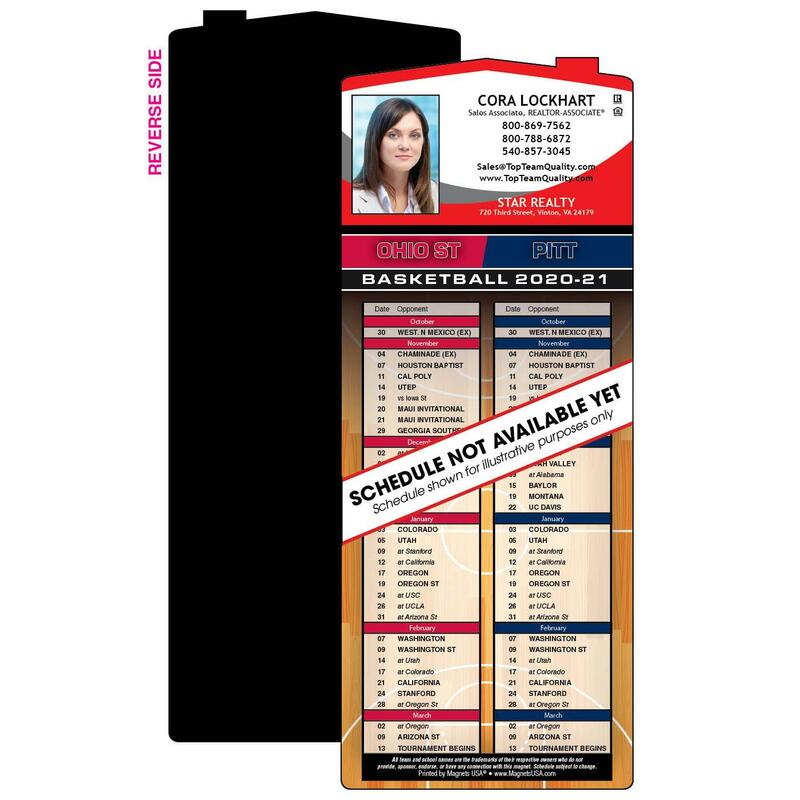 Disclaimer: Magnets USA is not affiliated in any way with the National Basketball Association (NBA) or Major League Baseball (MLB). 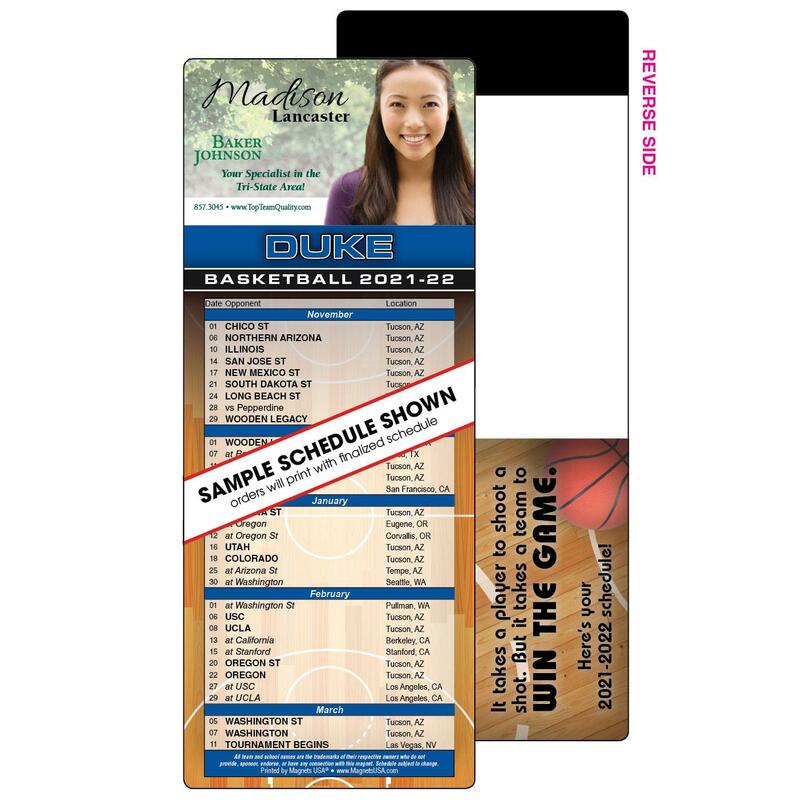 All team names and schedules are the trademarks of their respective owners who do not sponsor or endorse Magnets USA or its products.